Given the huge costs of making a bad sales hire (see our Cost of Failure Calculator) the decision to incorporate a sales test into your company’s hiring/selection process can have far reaching implications for your organization’s sales team. For any business, using the wrong type of sales test, or using a sales test that is not effective, can be extremely expensive and painful. For smaller companies it is not an overstatement to say that the results of using an ineffective or inappropriate sales test can actually be a make or break proposition. (This article goes into a little more detail about this- Why Small Small Companies Can’t Afford NOT to Use a Sales Assessment Test). Looking at the positive side, an effective sales test can have a massive ROI when one looks at the cost of testing, versus the profitability of hiring successful reps. I have spoken to thousands of prospective clients over the years and I have often felt, that unlike many other business decisions the process of choosing the right sales test is very haphazard and muddled. It has always been a rather confusing task and the internet has made it even more confusing. Not only are there many more choices, but in visiting the websites of sales testing companies most of the product descriptions sound the same, therefore even very different services sound as though they are very similar. It certainly does not help that most of us are not willing to spend more than a few seconds on a web page to understand a particular company’s offering. Even major differentiators are missed, not to mention important but more subtle differences. 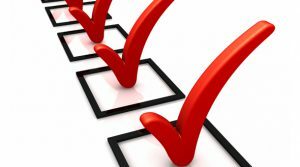 The purpose of this checklist is to provide an organized and systematic way of sifting through one’s options by breaking the process down into various categories requiring consideration. Like many decisions, it becomes more manageable by dealing with it as a series of smaller choices. What Aspect of Candidates to Measure? Tests are available to evaluate many aspects of sales people. Your most fundamental decision, quite possibly is to decide what aspects of the sales person you believe you need to measure. There are tests to measure some of the more inherent aspects of the person such as personality traits like drive, extroversion and independence. Others focus on intelligence, often referred to as mental alertness. The vast majority of tests tend to measure the learned aspects of the candidate such as sales skills or sales knowledge. Other more specialized tests measure sales knowledge generally or sales knowledge geared towards particular industries or the sale of certain products. Bear in mind that using sales tests should not be thought of as an either or proposition. For example, you could quite logically use 2 or even 3 instruments, each of which intended to provide you with a measure of different aspects of the candidate. Once you have decided what aspects of the sales candidates that requires testing you can narrow the focus of your search to those types of instruments. Is the testing customized or adapted to the needs of your specific role? A test may be very effective at identifying whether a person is good for sales but the underlying assumptions built into the test might be for a completely different kind of sales role from what you are hiring for. Sales roles differ dramatically. Even if you are using a testing system that has a track record in your industry it may be that your role is very different from what the test is designed to measure and identify. Credentials to take the test: How does the candidate obtain these credentials? Do they expire? Do you have to generate them or does the test vendor? How is this done and is it quick and convenient or complicated and cumbersome? A less than convenient system of providing the candidate with the testing credentials may not be a big problem if you are only doing the occasional test. On the other hand, if you are doing even just a few a month it can be a hassle, particularly if you have a candidate that you wish to test quickly. Ask questions about this, particularly if you are intending to test on any sort of scale. What devices can the test be taken on? Many tests have been available on the internet for some time but not all of them are mobile friendly. These days a lot of sales tests are taken on tablets and even mobile phones. Whether mobile friendly or not, should the test, given it’s format, realistically be taken on a mobile phone? If you intend to administer a lot of tests remotely this is an important consideration since it may actually affect test results. Test time: There are still many tests that take the candidate from 45-120 minutes to complete. Years ago job candidates might not have balked at this but today it is not realistic to expect a candidate to sit for a test of this length. Ask yourself if you would. If the test or tests you are considering are this long and drawn out you can expect a fair number of candidates to start but not finish their test. What are the implications of this? Does this have a cost? How does this affect results? When the candidate completes the sales test how quickly do you receive the results? In what format do these results come to you? Is the information in a format that is easily shared with other decision makers? If the results are web based (as opposed to PDF or emailed) can other managers also access the same information? Are the results removed after you view them or can you come back to view them in the future? Are the test results clear and understandable? Is the report evaluation concise and to the point or is there a lot of information to sift through? If there is a lot to go through does the report style make it easy to interpret? If not, is support available to assist with the interpretation? When reading the results are the areas being evaluated relevant to the role you need the sales person to fill? Do you receive a rating or a recommendation as to the candidate’s fit for the role? Does the report contain information that can assist you for both pre hire (red flags, interview, reference check) and post hire (train, manage, develop)? Do you intend to share test results with the candidate? Are the results automatically sent to the candidate? In our experience test results that are written for the consumption of both the hiring authority and the candidate are not effective. Usually a more blunt approach works for the hiring manager whereas a “softened” approach works best for the candidate. Using a sales test that is not accurate is kind of like using an inaccurate tape measure. In other words, why bother? All of the above points are irrelevant if the test does not accurately reflect the candidate in the areas it purports to measure. Realistically, the accuracy of a test can be quite difficult to prove. The reason for this is because one of the major benefits of a sales test is that it prevents you from hiring people who will likely fail. Just this alone can save you a huge amount of money and time but there is no metric that will measure this. As well, trying to track the impact of a sales test to the obvious metrics of sales performance and job turnover can actually be very difficult for the simple reason that one can rarely isolate the impact of the test. Talk to the vendor about the issue of accuracy and see how they address this. Request a few free tests to be given to known current employees in order to see if the results jive with your experience. The reality is that if the test vendor has been in business for some time and this is their primary offering it probably is an accurate instrument. Is the Sales Test Predictive of Success? Can the sales test accurately predict whether a person is likely to be successful? Ask the sales test vendor if they have done studies of successful sales people who have completed the test to determine if a correlation exists between the test results and success in that sales role. While you may be considering incorporating a sales test at the present time you may find that in the future you will need to test for other roles i.e. management. In our experience this is quite common. Although not a huge consideration, it can be much more convenient in several ways to deal with the same testing vendor for both. What other roles does the vendor test for, if any? Are there any extra charges or set up fees? For global companies having the test available in other languages can be an important issue. What other languages are available? Are there any specific procedures necessary to administer the test in these other languages? Is there support available should you need assistance with test results? If you need something resolved how long does it take? Is it only email support or is there a phone number where you can actually talk to a human? What is the expertise of the person you will be talking to and what do they know about your specific company and the issues you are trying to address with the testing? Are there limits to this support? Is there a charge? What about resolving password issues for you and or your candidates? How long has the test vendor been in business and how long has the test been offered? Is testing their primary business or is it a sideline? If it is a peripheral business and they are a re-seller of tests, what is their expertise? Are they adding any value? Are they using the testing to promote their main service? In either case what is the success rate of the system they offer? It can realistically be difficult to demonstrate this but can they provide references and or any evidence of the efficacy of their system? Will they let you try it out at no cost on a couple of your people? 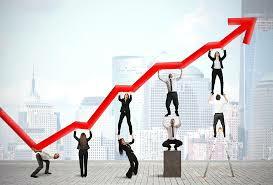 If yours is a large or growing company then you should ensure that the sales testing system is not only scalable, but also scalable in the way that is most convenient to your needs. Is there a limit to how many managers that may have access to the test results? Can access be tailored so that managers either see or are restricted from seeing what is appropriate to their responsibilities as the system is rolled out? If you are testing sales people all over the country or around the world you may wish to take the testing down to some local level such as a branch or region for example. Being able to give access to some and not others in these and similar scenarios is more than just a convenience. Another consideration is whether the system can be integrated into your applicant tracking system. If you are testing in any type of volume you will want to know about the reporting capabilities of the system. As time goes on and you have tested dozens, hundreds or even thousands of candidates, the ability to output the test results for analysis is essential. You should be able to output all or selected amounts and aspects of the test results to a spreadsheet so you may compare test results with your sales metrics. 1.Are discounts offered for buying in volume? 2.Can you use your purchased tests for different job categories? 3.If you buy a quantity of tests do they expire? 4.Are there any additional costs, for example set up fees? I believe this list of 16 categories is quite thorough and that if you evaluate prospective sales tests with these areas in mind it will ensure that you make a well founded decision about which sales test(s) to implement in your sales organization. Please feel free to contact me with any questions or for any assistance.